One of our colleagues shared that one of his passions is growing gigantic pumpkins. Some of these things are stupidly gigantic. The world record stands at over 2,000 pounds! In addition to the Giant Pumpkin category, this website also features watermelons, tomatoes, “field pumpkins” (which look more like a Halloween type pumpkin), and “long gourds” which have to been seen to be believed. Hell, you have to see ALL of these things to believe them! Here’s a standout though – it was suggested that this is a good way to donate your giant fruit. 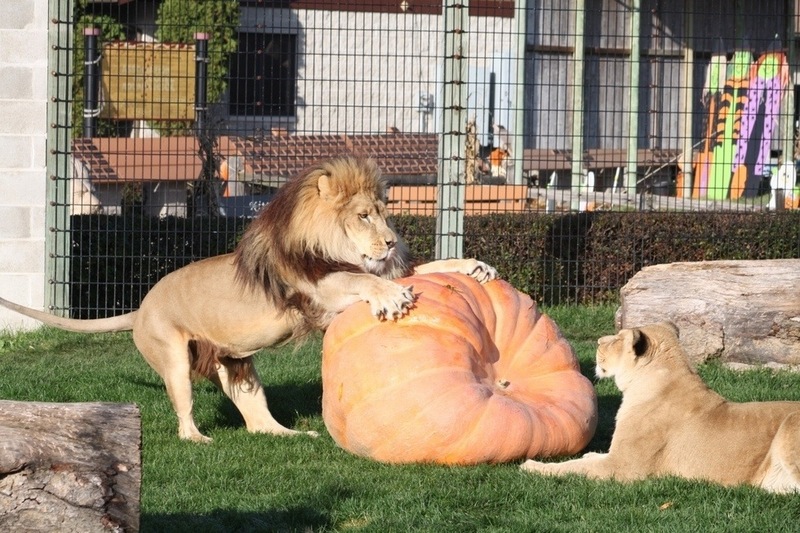 One does have to ask, what is that lion preparing to do to that pumpkin?